Purple translucent glass bead with white wave live and sterling silver core. The 5 mm opening size is compatible with 3 mm chain bead charm jewelry systems (such as Pandora, Troll and Chamilia). 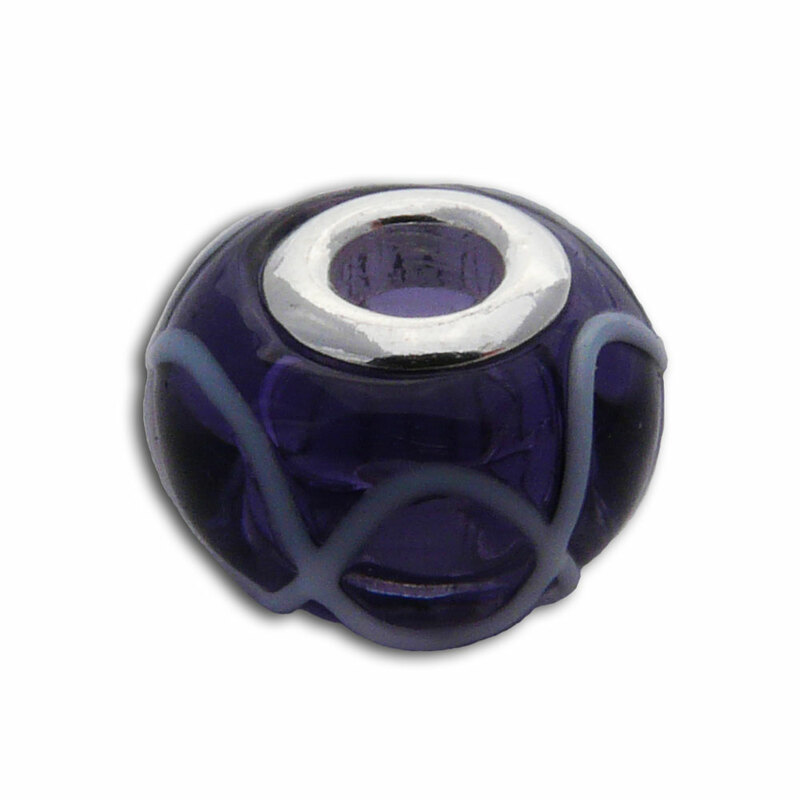 Artsy black and silver glass bead with sterling silver core. The 5 mm opening size is compatible with 3 mm chain bead charm jewelry systems (like Pandora, Troll and Chamilia). Set of 7 chakra beads, one of each color, plus 10% savings! Faceted stones with sterling silver rim and 5 mm hole. Pandora compatible.